Success or failure is entirely in the hands of the content owners. You must influence them above all. Influence must start somewhere other than calling the CEO of Sony Music. Where? Places like this. Then it grows. You scare the labels into thinking piracy will result from forced MQA and they’ll back off. The movie industry decides there will be DRM and HDCP, so that’s what we have. It isn’t consumer driven. The movie industry decides there will be DRM and HDCP, so that’s what we have. Quite a resounding success, too. Well- spill the beans! What happened?!! 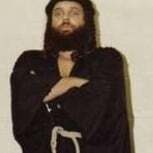 To the surprise of nobody, certain people were as pompous and abrasive as ever. I was told by people they’d never be on a panel or present with them again. Probably safe to say that Jbara is no pro at corporate governance, and Forsythe reacted poorly to his credentials being questioned? And with due respect, I don't think your regular comments extolling the futility of rising in opposition of MQA in audio forums will have a measurable affect either. You disagreed with my comment? You might consider looking up the definition of extolling. I'm well aware of the definition and I think the usage of that word is appropriate to describe your contributions to this thread. Was that word an odd choice to use next to the word "futility"? Perhaps. But your message is clear: protesting MQA is futile and foolish. Thanks for the response. Am I imagining that you're avoiding the point I was trying to make? : you mock MQA protesters and certainly imply that their effort is futile and foolish. Does your reply mean you won't do that anymore? Really hard to believe. I mean absurd. But then as has been stated ad nauseam we live in a post truth era. Let's use @mansr tools to educate him a little bit, shall we? 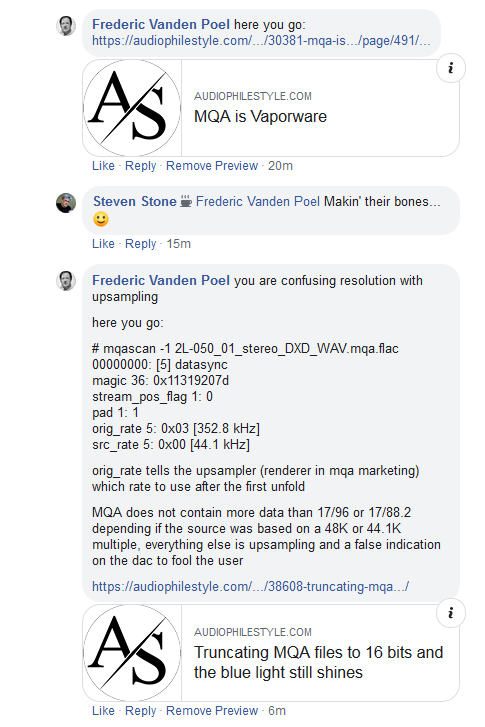 So he claims MQA can contain 4 resolutions, but he obviously is mistaking resolution and upsampling. 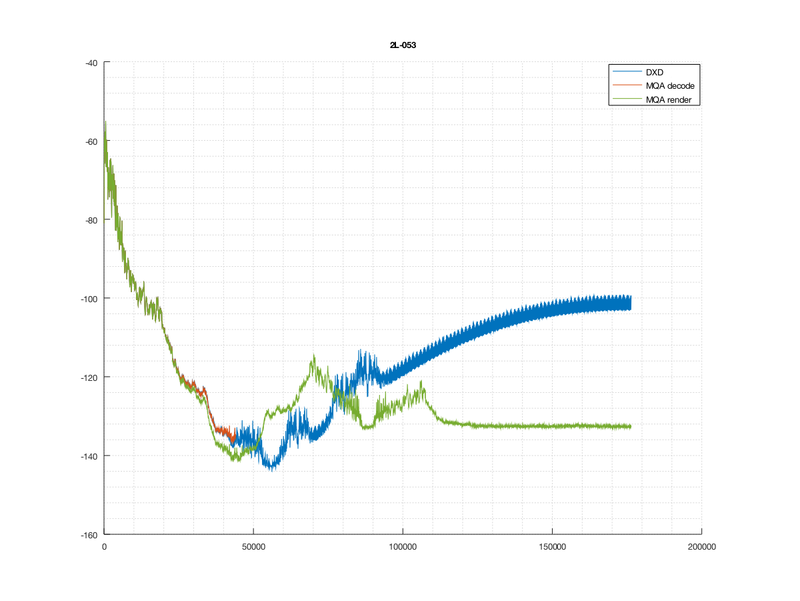 Then the second unfold can upsample to any value set by the orig_rate field as shown in the output of @mansr tool. If your MQA dac does not support that resolution (e.g. 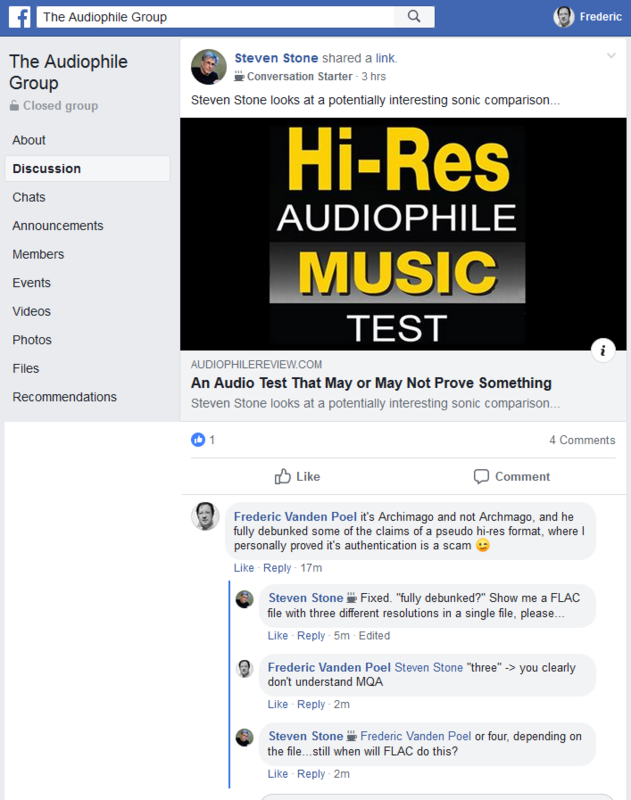 you try 352.8 kHz but your dac is a 24/192 dac, it may actually try to use 24/176.4 instead), but that does not make MQA a format which contains 44.1, 88.2, 176.4 and 352.8K resolution in the same file format. 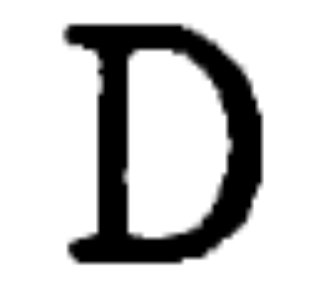 MQA is not DXD resolution, it can only do a fraction of DXD. Also notice that MQA files have similar data rates independent of the original being e.g. 24/96, 24/192, 24/384 or 24/768 as it decimates to 17/96 in this case and tries to pack that in a 24/48 container. 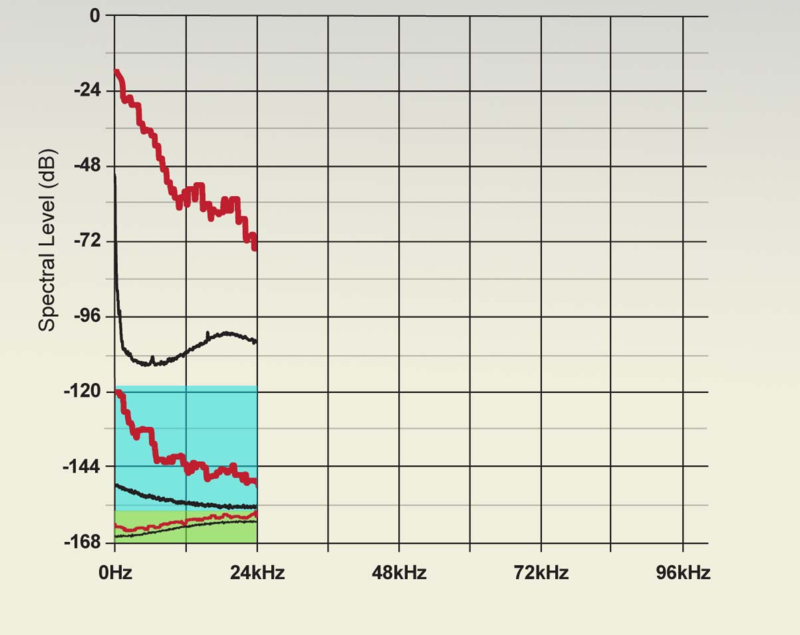 Hans Beekhzn also believes there are 3 unfolds, while 24 bit stops at around -144dB, so how is this graph even possible? It's a complete fabrication by HB (or copied). So why is this completely incorrect graph still on Hans's site? The article mentions "kwaliteitsgarantie" which means quality assurance, but the articles by Hans lack any quality journalism.